Vacant land foreclosures are incredible investment deals which can be used to build farm, commercial, and residential properties on. Sometimes, investing in lands for sale at a real estate auction will come with a structure already on it such as a horse house or a fixer upper country home. However, unlike residential foreclosures which are sold for the land and house value, land foreclosed properties are only valued based on the land, making them much cheaper. Buy beautiful foreclosure land for sale by searching our listings at Foreclosure-Support.com. Whether you are hoping to make money or wanting to build your dream home, you will find the best land for sale here. Our land foreclosure listings will help you find tax lien foreclosures and bank owned land in the areas of your choice. Most of the government properties are so cheap because the government is only collecting the amount due from unpaid property taxes. This means that you can find fancy farm foreclosed homes - amazing properties and ready to move into. Bank land foreclosures for sale don't have any tax liens, but are still listed below market at really good discounts. Buying foreclosure land for sale makes the dream of owning a large plot of land a reality. For pennies on the dollar, you can use the land to develop a new block of commercial properties, a family oriented residential community, a fully operational farm or ranch, or many other possibilities. 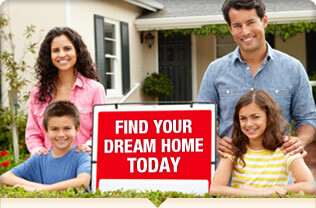 Establish your membership at Foreclosure-Support.com and start searching land foreclosure deals today.